Knitting // I love this knitted triangle pattern blanket. 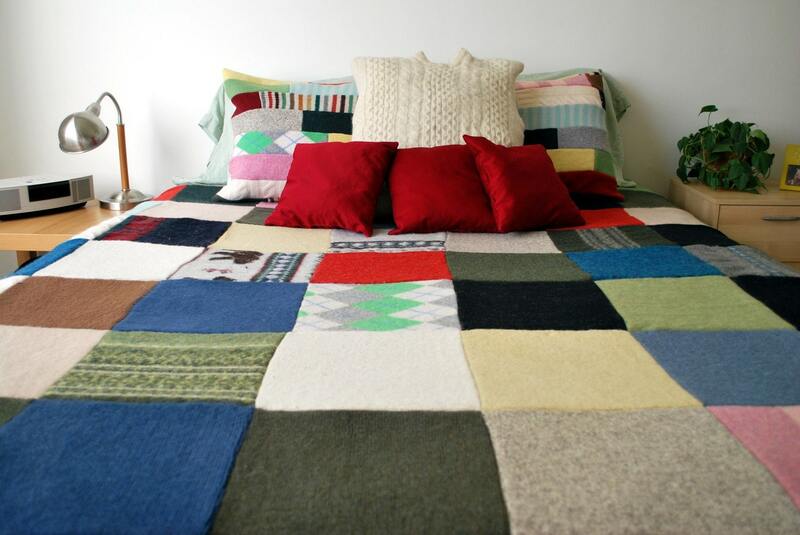 Etsy // Maybe, one day, when my sweater collection starts to overtake the closet, I could reuse them for an awesome sweater blanket like this one. Style // For the sake of a future sweater blanket...I guess I need to keep my sweater collection growing, huh? I don't need more sweaters because I am obsessed or anything. ;) I want all of the Madewell sweaters this fall! Art // This is such a dreamy art print by Rebekka Seale. I think catching up on my rest this weekend really helped my cold. Food // Mmm. Yet another pound cake to try! These mini brown butter vanilla bean loaves sound incredible. Talk about feeling warm and fuzzy inside. I hope you had a great weekend! Thanks to medicine, rest, cups upon cups of hot tea, and your very kind words I am feeling much better today. This week is already looking better than the last! I am excited about new projects, ideas, and inspirations, just waiting to jump from my idea book into reality. I am settling in to watch the Emmys and work on projects. Enjoy the rest of your Sunday!